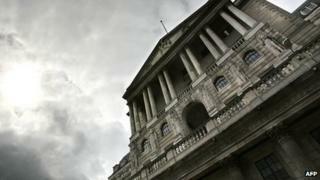 The Bank of England says productivity is 16% below its pre-crisis trend - but says it is at a loss to understand why. Its latest quarterly bulletin says that since the onset of the 2007-08 financial crisis, labour productivity in the UK has been exceptionally weak. It records some "modest" improvements in 2013. However, it says even taking into account possible measurement issues, this shortfall is large and is often called the "productivity puzzle". Measures of productivity, essentially the quantity of goods and services produced per worker or per hour, can be used to inform estimates of an economy's ability to grow without generating too much inflation. It is an important factor for the Bank of England to consider when making interest rate decisions as it helps it to forecast inflation. The Bank's governor, Mark Carney, warned last week that interest rates would rise sooner than expected, a move that assumes post-crisis slack is being taken up. The UK is known to be less productive than other similar developed countries. Earlier this month the International Monetary Fund (IMF) said poor productivity in the UK was a key risk to future economic health, along with a housing market that is overheating in some areas. The UK has seen an improvement in output, but productivity has failed to rise in tandem - creating the "productivity gap" - and is below that of other developed countries. British workers now produce about a fifth less for every hour worked than other leading G7 nations. To measure productivity, you take the amount of goods and services produced in the economy and divide it by the number of hours worked. At the moment, the UK's productivity is pretty low compared with its competitors. Productivity can be a tricky thing to measure across a whole economy. If you have a factory that employs 10 people and makes 100 widgets a day, it's pretty easy to work out the staff's productivity. But what about a hospital or a job centre? It is important because some analysts attribute the lack of real growth in wages in the UK to the country's low productivity. The Bank says a key challenge has been to understand better how much of the weakness in productivity has been due to weak demand compared with problems generated by the financial crisis. It says one reason for the fall is that during the initial phases of the recession, companies appear to have kept on workers, despite a fall in demand. A more extreme example of this is that firms which are really struggling are being kept afloat by their banks, so called Zombie firms. But there remains a large degree of uncertainty around any interpretation of the weakness in productivity. In its May 2014 inflation report, the Bank predicted productivity growth would pick up gradually as the recovery progressed, but said it would still remain "well below" its pre-crisis trend.